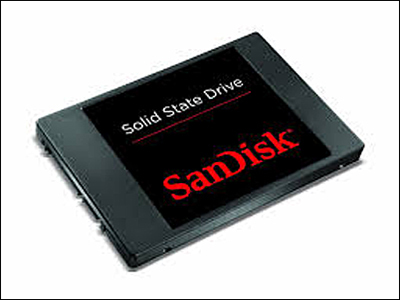 A solid state drive (SSD) is a storage device that uses nonvolatile memory chips to store data. SSD consumer products mostly use electronic interfaces compatible with traditional hard disk drives (HHDs) which allows for easy replacement in personal computers such as desktops, laptops, ultrabooks and pads. Smartphones also use SSDs for their memory. SSDs have no moving mechanical components. This distinguishes them from traditional hard disk drives or floppy disks which contain spinning disks and movable read/write heads. Most SSDs use NAND based flash memory, which retains data when power is removed. 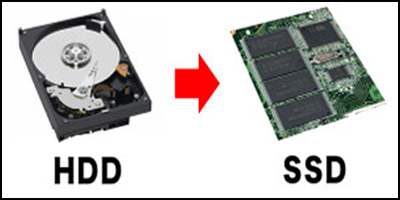 Where Do SSDs Fit In The Storage Hierarchy? HDDs win when price and/or maximum capacity are important. SSDs win if speed, ruggedness, form factor and noise are important. SSD units currently (2015) top out at 4 TB (terabytes) but they are rare. Typical SSDs top out at one TB. HDDs top out at 10 TB, considerably higher than an SSD. So, in large data centers and for servers in "cloud" storage, hard drives handle the bulk of data storage. However, where speed is a factor in retrieval, such as in Facebook or Amazon applications, very high speed SSDs are employed for everyday data retrieval whereas HHDs are used for long term, infrequent data lookup. Therefore a hierarchy system is used. For example, on Facebook pictures and stories for the last couple of days would be stored on SSDs, whereas data a week old is probably stored on a HDD. (The author does not know the exact cutoff and is just guessing at the time breakdown.). Why are SSDs so much faster than HDDs? HDDs store data on spinning disks. First the read/write heads have to physically move in or out to the right location on the disk and then the selected block has to rotate under the head. Physically moving the heads takes time as well as the time it takes to rotate the disk to the proper sector. SSDs have no moving parts so the transfer of data is much, much faster. There is a great difference between a consumer SSD that goes into a desktop computer verses an enterprise SSD that is in a cloud storage system such as Amazon's. See the enterprise SSD to the left. 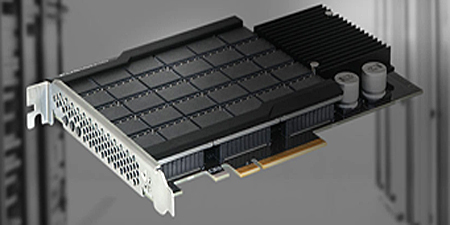 While consumer SSDs focus on lower cost, enterprise SSDs focus on performance and quality. As a result, consumer SSDs tend to be built with a SATA interface common in laptops and PCs, while enterprise SSDs are built with either SAS (for reliability) or PCIe (for performance) interfaces. The resulting difference in costs is considerable. Consumer SSDs tend to range from $300 to $650 depending on make, model and capacity. While enterprise SSDs can range from $2,200 to $16,000 depending on make, model and capacity. This range means that, while consumer SSD prices are relatively close, predictable and decreasing, enterprise SSDs designed for database or supercomputer applications vary widely in price. 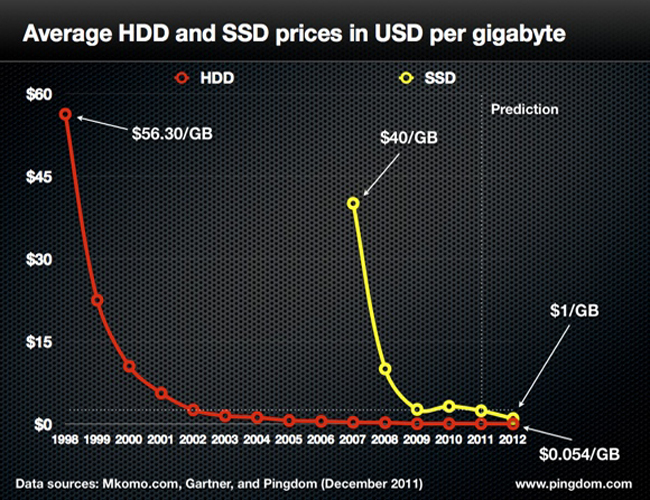 The chart to the left shows the long run price curves for both HHDs and SSDs. The historic price of HDDs (red line) has declined about 30% per year for many years. SSDs (yellow line) are more recent and have been declining by about 40% per year. However, many people doubt if SSDs can keep up the 40% pace. DRAM and other semiconductor prices have been declining historically about 30% per year. This has been a 50 year phenomenon and some analysts think it is a more appropriate rate for SSD NAND chips which of course are semiconductors. The chart to the left was composed by IHS iSuppli Research, a high tech market research company. In 2015 the number of SSD units sold is expected to be about 175 million units generating revenues of about $18 billion. The SSD growth in units and revenues is approximately 35% per year. This is an extremely fast growing business. Consumer SSDs are used almost exclusively in small portable devices such as smart phones, tablets, and notebooks. Because SSDs retain all the data when the units are powered off, they are much faster to boot up. The minimum size of a HDD is 2.5 inches. The size of a SSD can be much smaller, just a few chips. 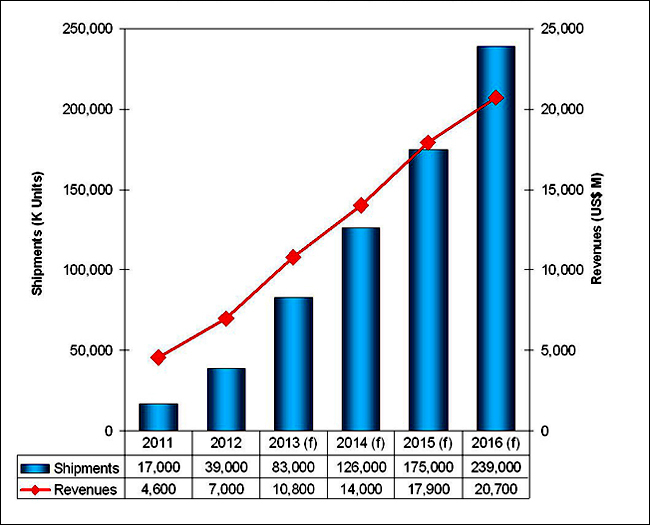 Have SSDs Impacted Sales Of HDDs? The graph to the left depicts the Total Available Market (TAM) for hard drives in millions of units from Q3 of 2010 to Q2 of 2015. 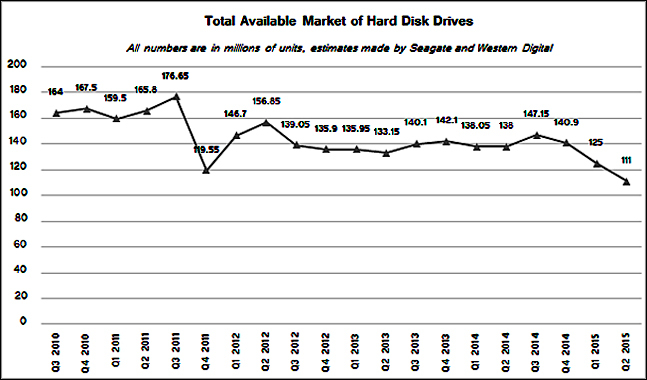 In the first 4 quarters, the sales of HDDs averaged about 165 million per quarter.. The last 4 quarters averaged about 125 million, down roughly 24%. The two major hard drive manufacturers, Seagate and Western Digital, have both begun to sell SDDs. 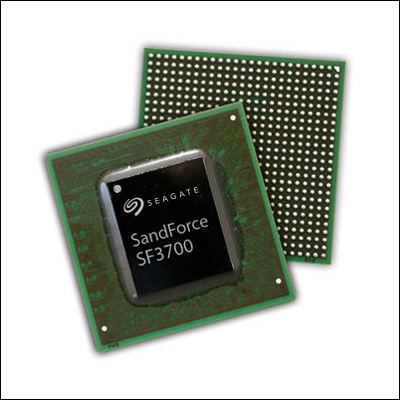 However, both companies buy their flash memory chips and add a SSD controller. Error Correcting Code (ECC) - All memory locations contain extra bits which are used to correct memory bytes when a memory bit suddenly flips from a one to a zero. Wear Leveling - Flash memories have erasable segments which can be put through about 3,000 to 5,000 erase cycles before becoming unreliable. Many flash devices also have one block with an extended life of 100,000 or more cycles that can be used by the flash memory controller to track wear. The controller moves the data around the SSD so that all segments have approximately the same amount of wear. Bad Block Mapping - A bad block is a sector of flash memory that is not writeable due to permanent damage, such as failed flash memory transistors. SSDs have extra memory set aside just for this issue. If the computer attempts to use a sector which is marked as 'bad' then the controller remaps it to a free sector. Memory Scrubbing - When the SSD controller is idle, it will systematically read each memory location and correct any soft errors using error correcting code and re-write the corrected data back to the same location. Soft errors are believed to be caused by cosmic rays randomly colliding with extremely tiny memory cells. While the probability of a collision with a single cell is very small, the number of memory cells in a cloud storage facility is so large that the probability of a few hits per day is significant. Encryption is the process of encoding memory information using an encryption algorithm such that only authorized parties can read it. Encryption does not itself prevent interception, but denies the memory content being read by the interceptor.